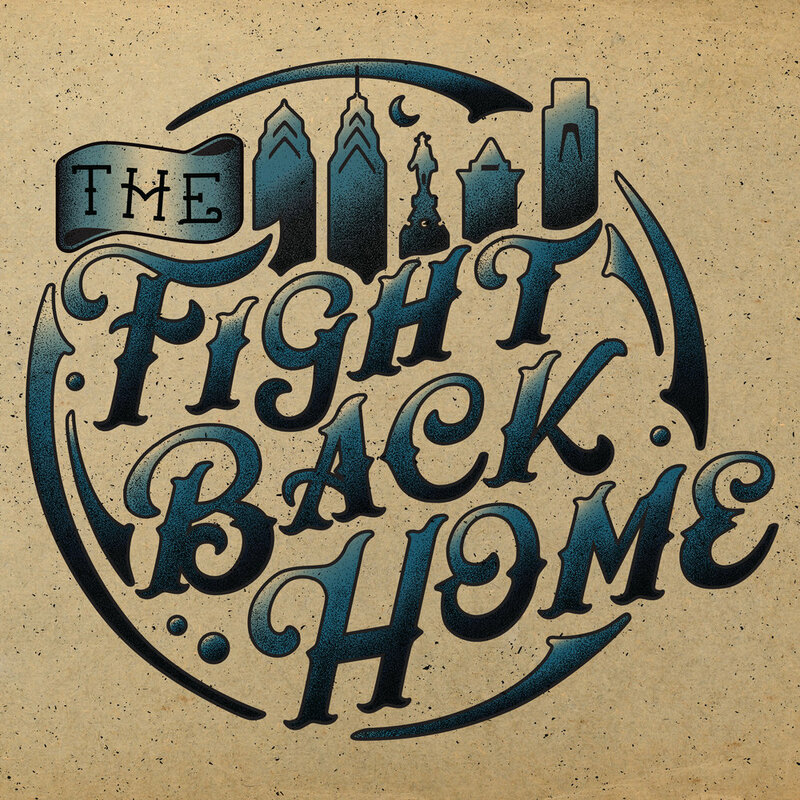 The Fight Back Home is a cover band that plays shows at local bars and events in south eastern Pennsylvania. Because they had different graphics on flyers and social media pages, their band wasn’t easily recognizable to their fans and clientele. They hired me as their logo designer to elevate their band with an emblem. I delve deep into what their band name meant and what they stood for. I discovered the name “The Fight Back Home” is actually a base ball term that symbolizes that they’ll never forget their home. Home for them is the city of Philadelphia. They were also inspired by American traditional tattoos and wanted to incorporate that look into their emblem. I researched American traditional lettering and sketched their name with the iconic skyline of Philadelphia in a circular design. After vectorizing it in the computer, I added depth with a stipple brush that mimicked the skin texture on tattoos. Navy, black, white, and tan were chosen as the color palette based on the the common colors used in American traditional designs. The Fight Back Home now has consistent imagery across their social media and merchandise that can be recognized with one look. They have a better first impression when being reviewed by bars & events needing a cover band. Flyers advertised with their new emblem creates intrigue and attracts more people to their shows.